Qt5 version of the Brynhidlr remote desktop control software. 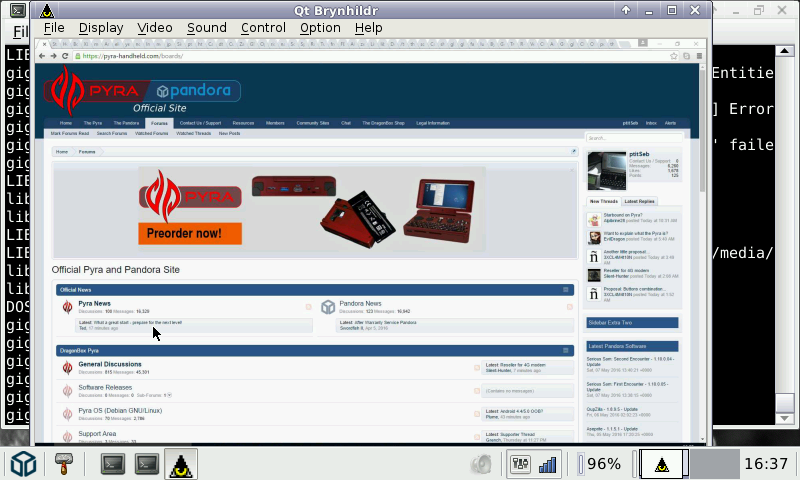 Here is QtBrynhildr, a QT Client for the Brynhildr windows remote control client. You will need the a Windows Brynhildr client installed on you windows machine (you can get it there: http://blog.x-row.net/?p=2455 , look for "download" at the right bar in the "Windows" block). The speed seems ok, but there is some lag, as always. It will of course depend much on you quality / reliability of the network connection (so the internet Wifi can shows it's limits). If you have any issues, etc. to report, you can mention them at https://github.com/funfun-dc5/qtbrynhildr/issues. There's a new version of the server that is available which is faster than the previous one. You can get it at the link that was posted in the "Additional Info" section.